Some updates regarding what I’ve been working on – and what’s coming up. Pretty damn pleased to be appearing at this year’s Edinburgh International Book Festival (Aug 26 18.45). I’ll be in conversation with Paul Magrs – a writer I’ve long admired – and we’ll be talking about inventing other worlds and the influence of classic kids lit and Doctor Who on our work… and that’s just for starters. Tickets go on sale 23 June – here’s a link to the event. Hope you’ll come and see us! 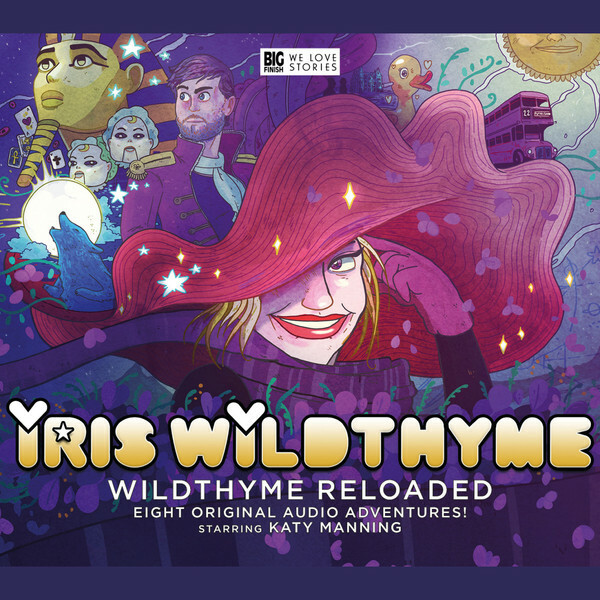 That same month – by pleasing co-incidence – sees the release of Iris Wildthyme: Reloaded. It’s an exciting new series of adventures for trans-temporal adventuress Iris Wildthyme (Katy Manning AKA Jo Grant from Doctor Who). I’ve written an episode entitled Oracle of the Supermarket. I’ve consulted the mystical powers of the Oracle, and – – – you’ll need to wait till August to find out more! November 2015 sees the much-awaited release of The Confessions of Dorian Gray – Series 4 – for which I’ve contributed the season opener The Enigma of Dorian Gray. 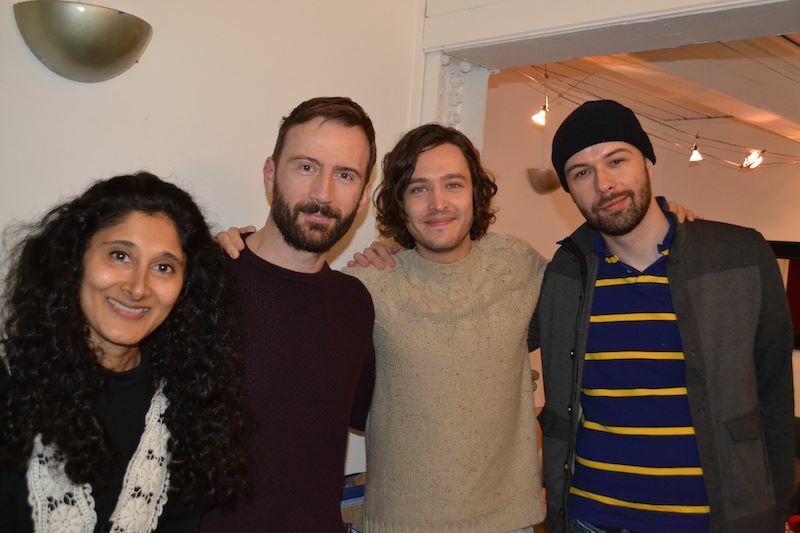 Details are currently closely under wraps, but I can share this picture from the recording (left -> right actors Sakuntala Ramanee, Anthony Howell, Alexander Vlahos – – and me!). It was a real thrill to watch this talented bunch bring my words to life, courtesy of producer/director Scott Handcock. 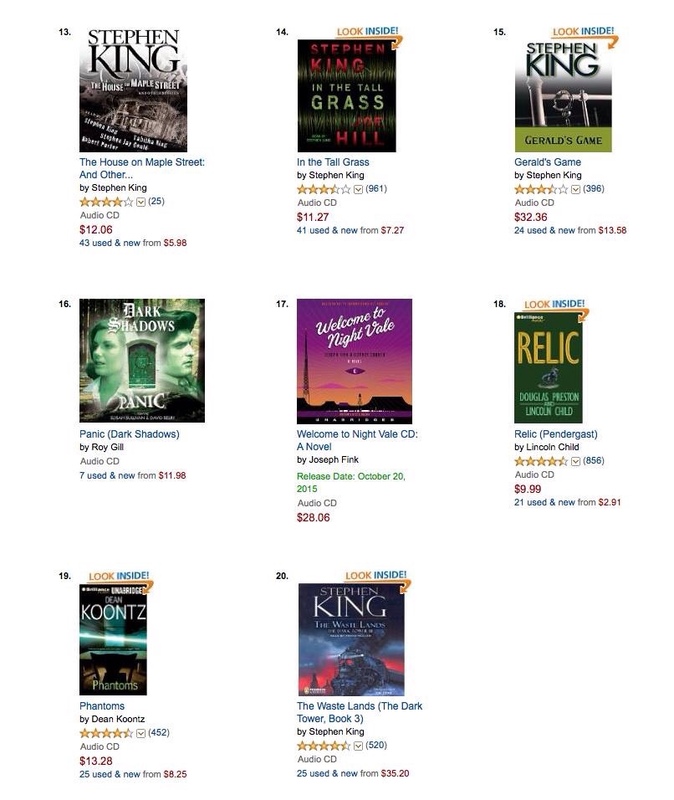 Finally, last month’s Dark Shadows: Panic (starring David Selby and Susan Sullivan – see blogs below for more) continues to pick up some lovely feedback from listeners, and even made an appearance in the Amazon.com audiobook horror charts, nestling rather appropriately between Night Vale and Stephen King!